Video production offers a way for students to learn content-area knowledge while simultaneously developing technology skills deemed important in contemporary society. Yet, the research has not been examined in a systematic way to reveal how these types of projects are oriented to align to instructional goals or how learning is investigated when they are implemented as part of content-area pedagogy. A scoping study was conducted to review the research literature on implementation of student video production in content-area classrooms. A total of 61 studies published from 2006 through 2017 were selected and analyzed through a systematic process. 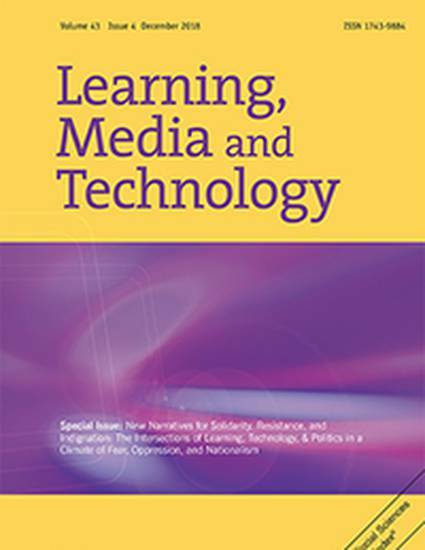 Findings suggest that video production projects were conducted to meet information, performance, composition, literacy, or creativity learning goals in content-area classrooms. Strategies used to investigate student learning included evaluation of learner perceptions, analysis of the process of creating video, assessment of the final video project, or a combination of these approaches.